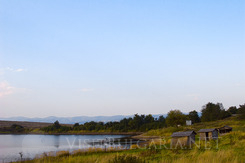 Location: Kostenets is situated in the Kostenets – Dolna Banya Valley along either banks of Maritsa River. It is located 76 km away from Sofia, about 80 km away from Plovdiv. The town is only 30 km away from the world famous Borovets ski resort. In the vicinities of Kostenets many balneological resorts, including Momin Prohod, Pchelinski Bani and Kostenets balneological resort are located. The town is also famous for the fertile soil and the producing of meat, diary products, vegetables and fruit. History: Kostenets emerged in the early Middle Ages and from 7-th to the 14-th century existed under the name of Konstanzia. 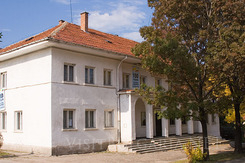 The first school in Kostenets was opened in 1856. A church from 1857 is still preserved. Close to Kostenets, remains of an ancient basilica from the 6-th century and a medieval fortress are located. SPA: The vicinities of Kostenets have been an established spa and mountain resort centre. Only two kilometers from Kostenets, in the northern foothills of Eastern Rila Mountains the nice balneological resort of Kostenets is located. The mineral waters have a temperature, varying from 46 to 73 degrees Celsius. The mineral springs are three and have a total outflow of 300 liters per minute. There is a nice spa centre with outdoor mineral water swimming pool, an artificial lake, tennis court, holiday houses and villas nearby. Pchelinski Bani is situated 8 km from Kostenets and is also a balneological resort of national importance. The mineral water has a temperature of 73 degrees Celsius and is suitable for the treatment of many disorders. Another spa resort – Momin Prohod, which is a quarter of Kostenets, has also been famous for its mineral springs and baths since Roman times. The mineral water pours out with outflow of 920 litres per minute, of 9 natural springs and has a temperature of 65 degrees Celsius. Nearby the spa resort of Dolna Banya is also located. Landmarks in the area: Near the resort, Kostenets Waterfall, on the Kostenska Old River is situated. It is 12 metres high and is declared a nature landmark in 1965. 20 km from Kostenets is located the Trayanov Pass (Trayanova Vrata), which is a famous historical site. There used to be a Thracian settlement near the pass and a fortress with a diameter of 30 metres and width of the walls 2 metres. The archeologists prove that the fortress was used during the Middle Ages and it used to be an important Bulgarian stronghold.